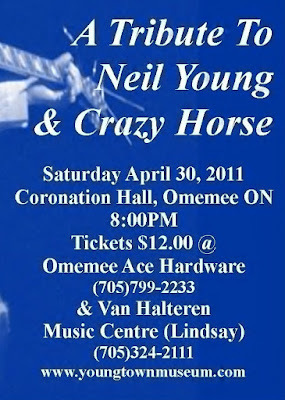 Come celebrate the music of Neil Young & Crazy Horse with The “Only Young” Band. 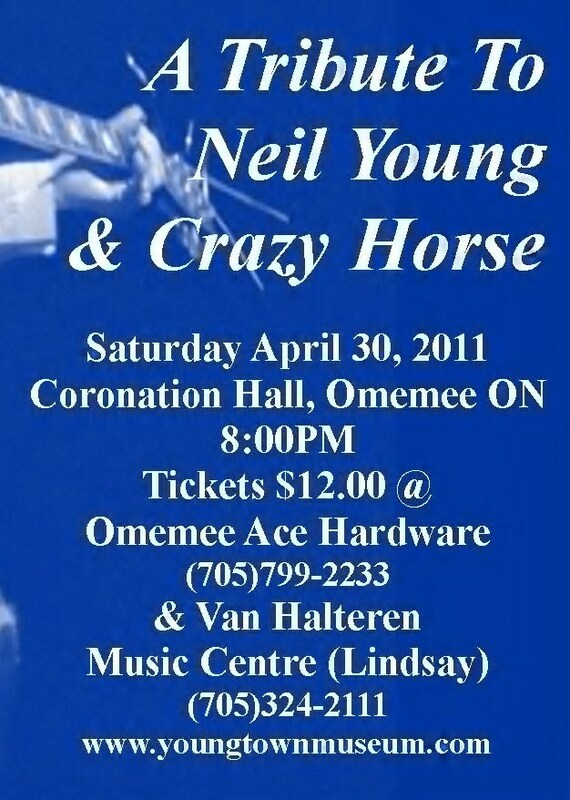 Easily one of the best Neil Young and Crazy Horse tribute’s in Canada, these four guys know how to do it right! Presented by the Youngtown Rock & Roll Museum and Omemee Ace Hardware, the show takes place Saturday April 30th., 8:00pm Coronation Hall, Omemee, Ontario, Canada. Tickets are only $12.00 each ON SALE NOW at Omemee Ace Hardware (705)799-2233 and Van Halteren Music Centre (Lindsay) (705)324-2111… better get em early! Note: Youngtown Museum opens for the season on Saturday April 23rd, 2011.